Tennessee warblers migrate from northern forests to Central America in the fall. This one died hitting a building in Buckhead. Now that it’s fall, birds are passing through Atlanta on their way south for the winter, but a lot of birds will never make it. Hundreds of millions of birds die each year in the U.S. when they hit buildings. 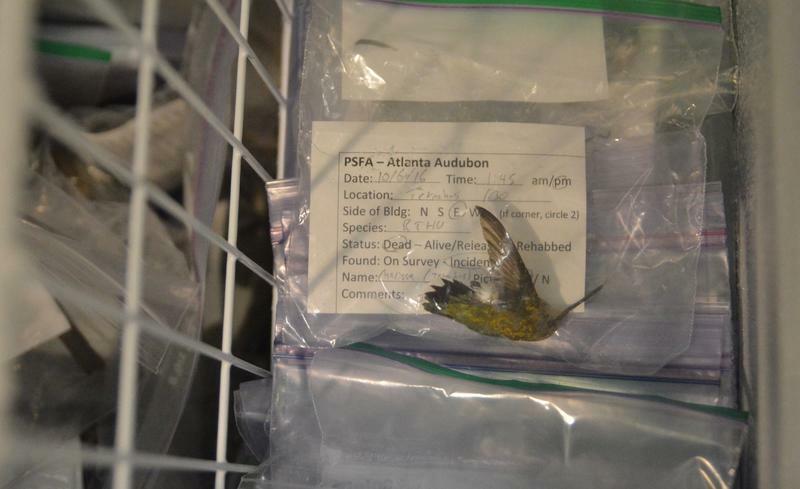 A project lead by Atlanta Audubon aims to slow that trend here by documenting some of the deaths. 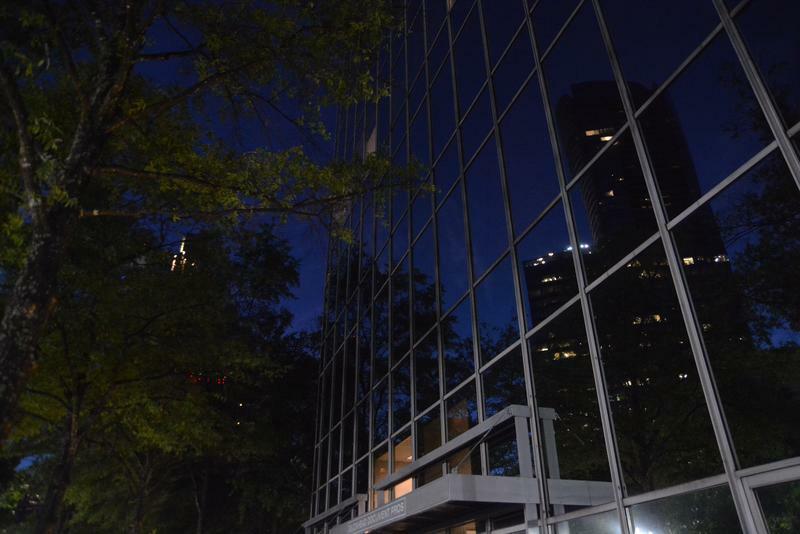 To find birds that died crashing into buildings in Buckhead, Atlanta Audubon Society conservation director Adam Betuel starts looking before dawn. That’s so he can find them before groundskeepers clean them up. Betuel is working on Atlanta Audubon’s Project Safe Flight. With the help of about a dozen volunteers, he looks for birds that have hit buildings around Buckhead, downtown and Georgia Tech. They record the details when they find them, collect the dead birds and bring injured ones to AWARE, a wildlife rehabilitation center. The Tennessee warbler was likely on its way from a northern forest, like the Adirondacks, to Central America until it smacked into Buckhead. Glassy office buildings that reflect trees or the sky can confuse birds. Bright lights at night can disorient them too, and they’ll circle like moths until they’re exhausted. A study from 2014 found that close to a billion birds could be killed by buildings every year in the U.S. Only a tiny percentage of those are from hitting high-rises, the vast majority are at mid-rise buildings and at homes. This is the first year this project is fully up and running in Atlanta. There are similar programs in other cities, some that have been going on for more than a decade. Betuel says he hopes in the long-term, he can encourage property owners to do things like turn their lights off at night, and make glass more visible, with bird-friendly design, or even just with stickers, in an effort to kill fewer birds as they fly through Atlanta.